Lab suppliers interested in generating life science sales leads and hoping to sell lab equipment at Alabama life science marketing events may be interested in the latest funding news and rankings at the University of Alabama at Birmingham. The University of Alabama is a research powerhouse with much of its strength lying in the life sciences. According to the UAB website, the University of Alabama at Birmingham was ranked 52nd in the world for its research in the life sciences and 94th overall among 500 worldwide universities in the 2011 Performance Ranking of Scientific Papers for World Universities. The University of Alabama at Birmingham was also ranked among the top 25 research universities in the United States in the Top American Research Universities 2010 Annual Report by The Center for Measuring University Performance. The data was evaluated in terms of total research funding, private grants, faculty awards, faculty membership in the National Academies, and doctoral and postdoctoral advanced training. Impressively, the University of Alabama was ranked first among all public universities in the United States in the 2012 survey of The Best Places to Work for Postdocs. In addition to being ranked very well, the University of Alabama at Birmingham also receives a great deal of research funding. In 2012, the NIH gave the University of Alabama $207.4 million in funding. The money was distributed among a number of life science departments at the university. For the convenience of our readers, we have composed a list of some of the top-funded life science departments receiving NIH funding. For a full list of departments receiving NIH funding at the University of Alabama organized by department name, number of awards received and total funding awarded, please visit the NIH website. Lab suppliers interested in generating life science sales leads and hoping to sell lab equipment at Alabama life science marketing events may also be interested to know that the NSF gave the University of Alabama at Birmingham $6.1 million in 2012. For more detailed NSF funding information on the University of Alabama at Birmingham, please visit the NSF website. 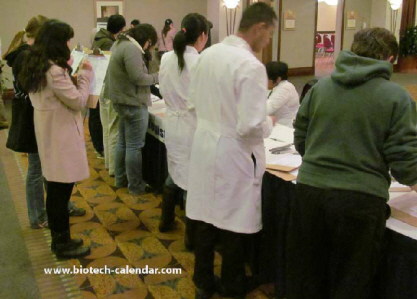 If you are a lab supplier interested in increasing life science sales leads and working to sell lab equipment in Alabama, Biotechnology Calendar, Inc. invites you to attend our annual Birmingham BioResearch Product Faire™ Event on November 14th, 2013. Last year, the Birmingham BioResearch Product Faire™ Event attracted 336 attendees. Sixty-four of these attendees were purchasing agents, professors and post docs, and 62 were lab managers. The visitors came from 33 different research buildings and 45 departments across campus. Biotechnology Calendar, Inc. is a full service science research marketing and events-planning company that organizes life science marketing events at top research universities across the country. For more information on the Birmingham BioResearch Product Faire™ Event, or to view more detailed funding statistics on the University of Alabama at Birmingham, click on the button below. 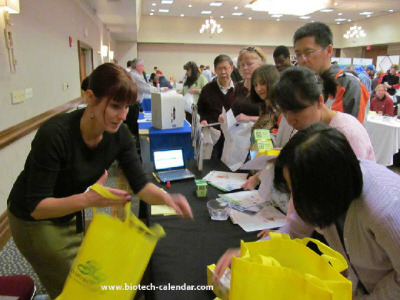 If you’re interested in generating life science sales leads and would like to sell lab equipment at life science marketing events closer to home, we encourage you to view our 2013 calendar of events.